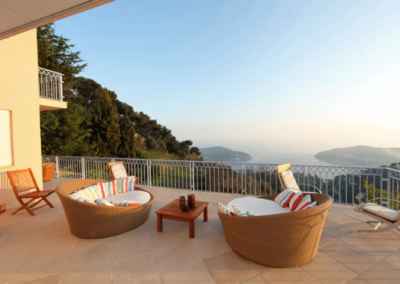 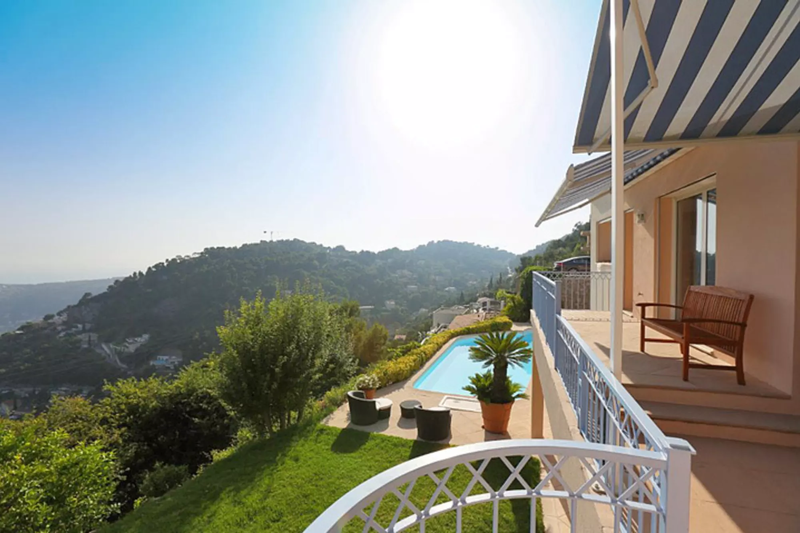 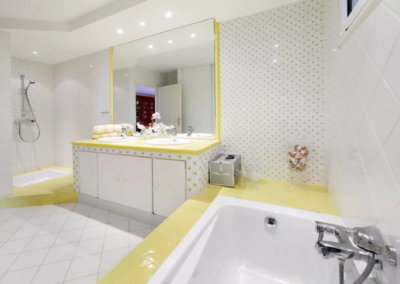 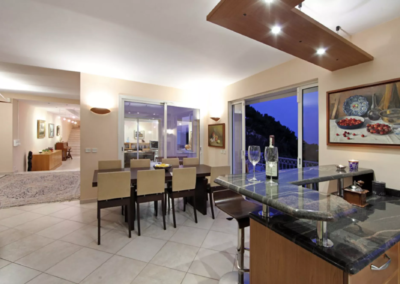 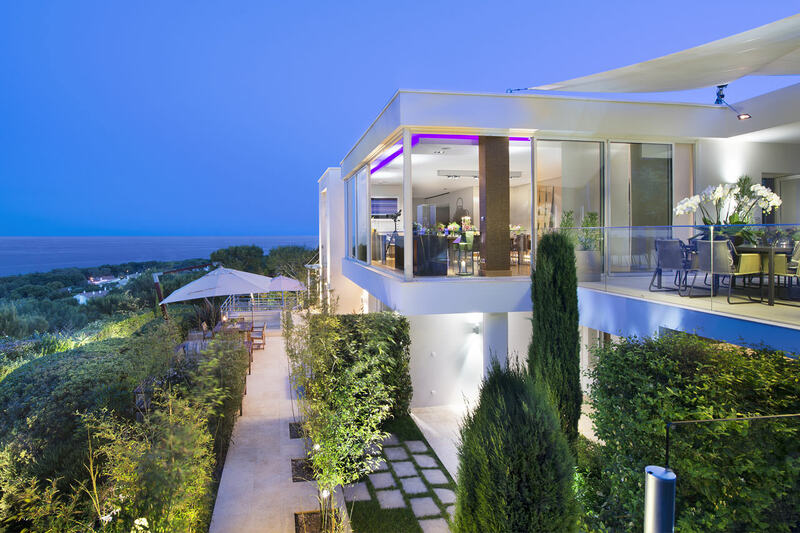 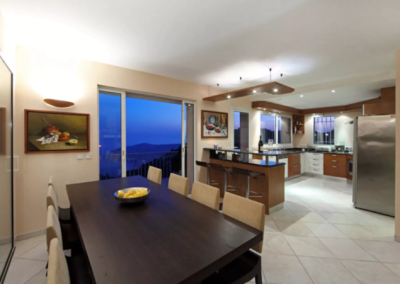 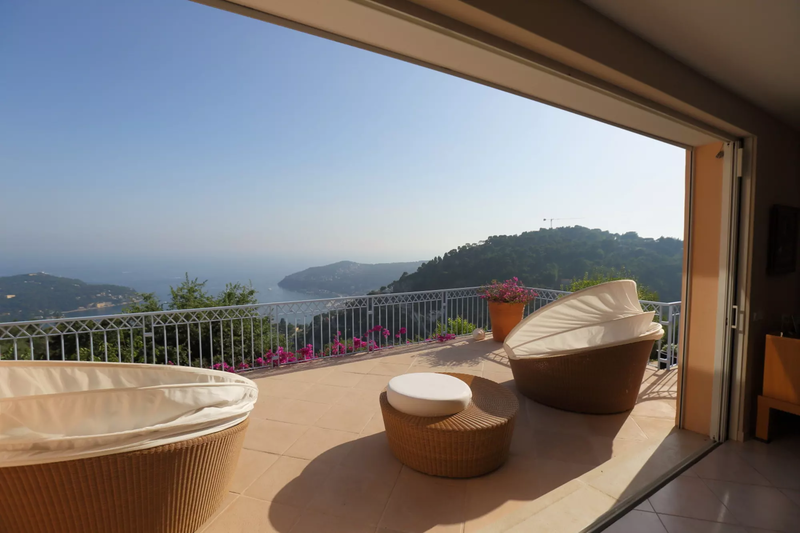 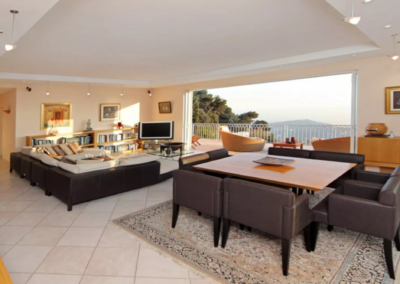 This is a luxury French Riviera villa with sea views situated on the dramatic scenic coastline between Nice and Monaco: this modern property is a real delight. 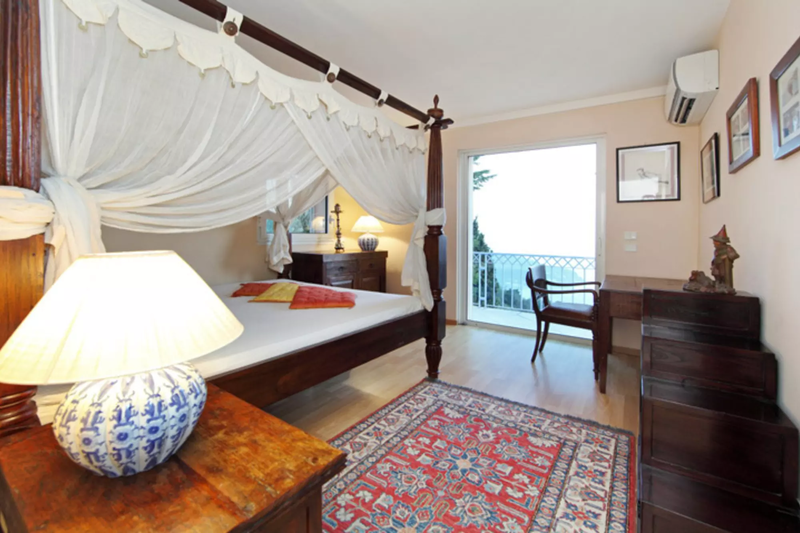 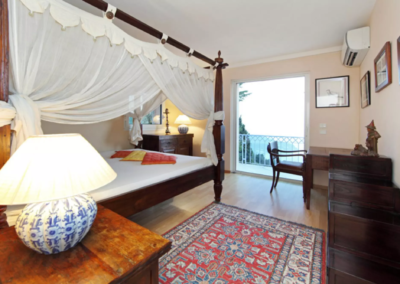 Each room has magnificent south facing sea views. 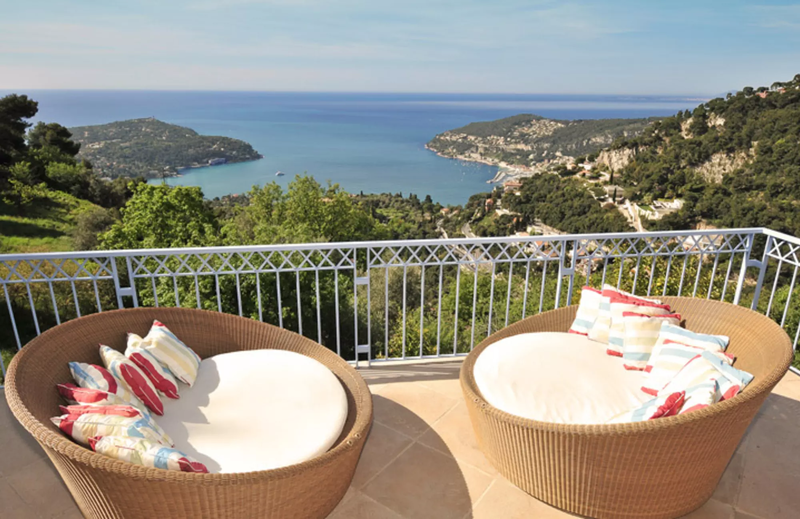 Terraces on each of the three levels make full use of the stunning views, providing a relaxing ambience – what better place to sit and unwind with a glass of wine! 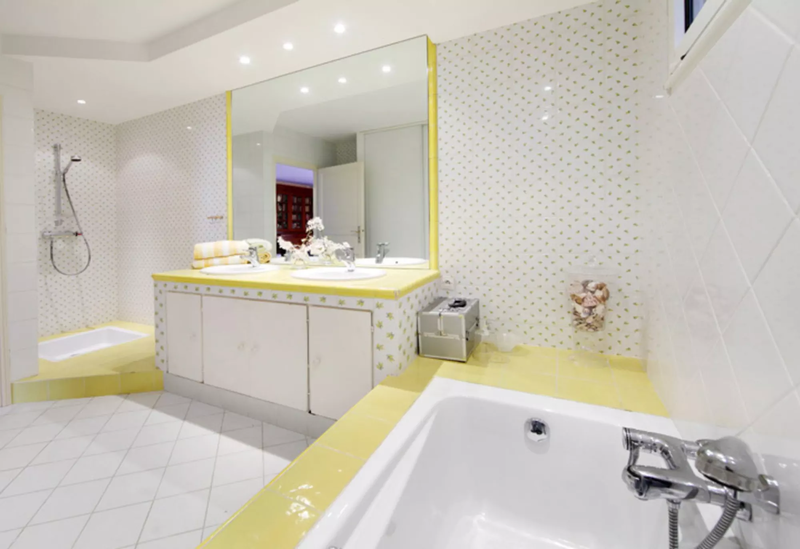 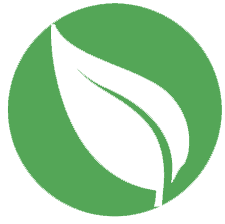 The more energetic may enjoy the gym equipment and sauna. 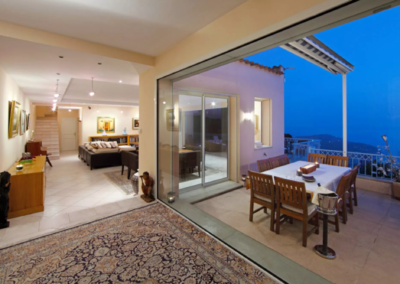 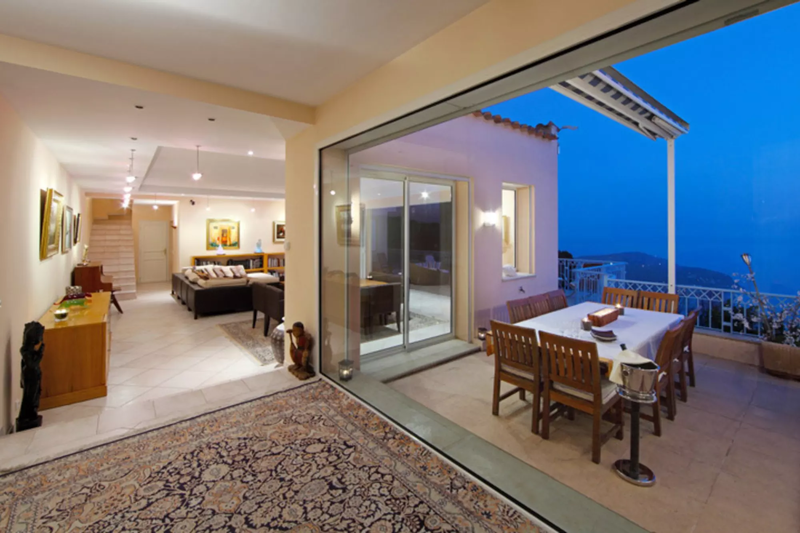 Modern furnishings enhance the well equipped villa which has a feeling of light and space, enhanced by large picture windows. 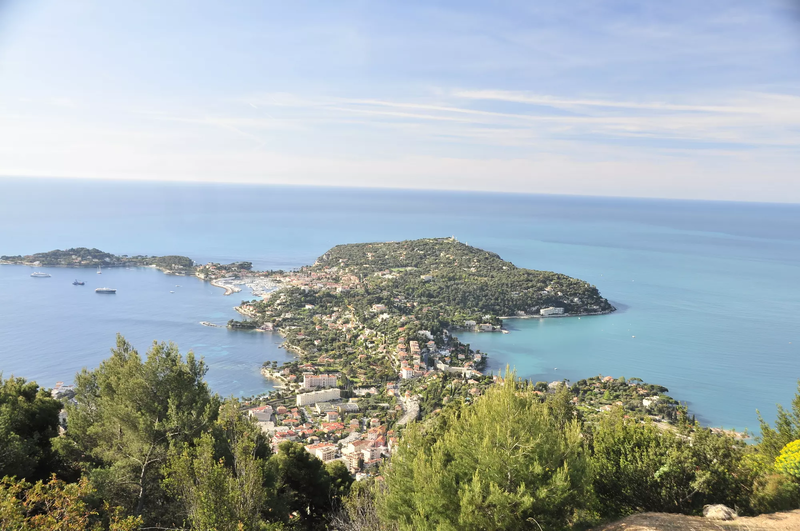 The coastal towns along this stretch of the Riviera have an interesting mix of Italian and French influences. 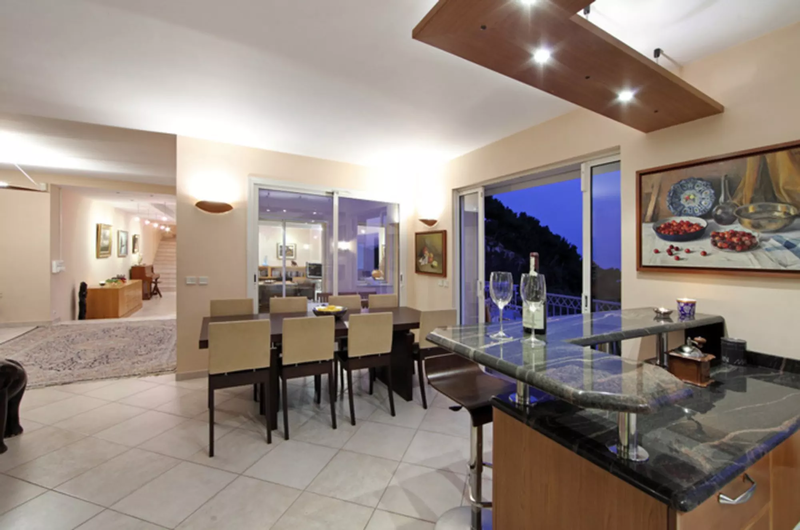 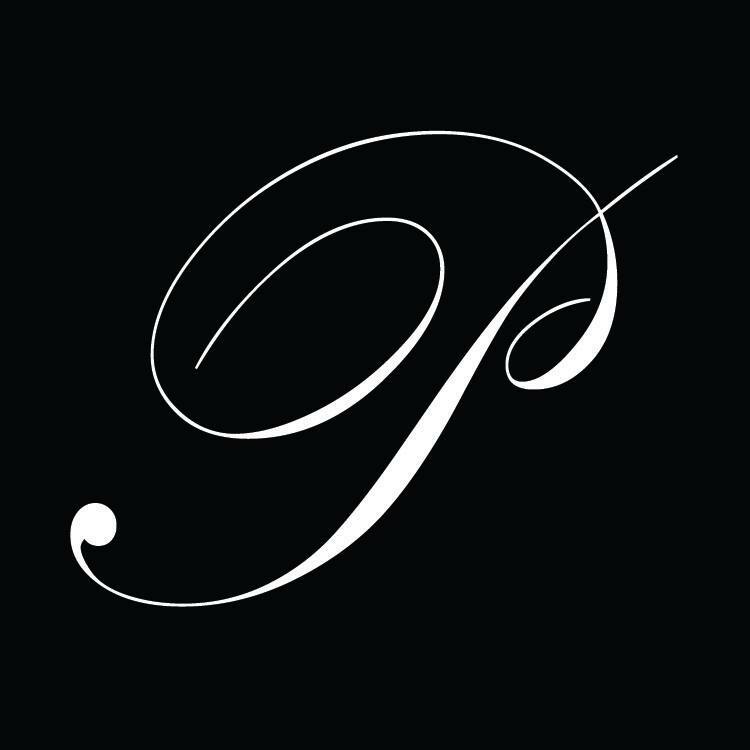 Enjoy a night out in Monaco or Nice, both within easy reach. 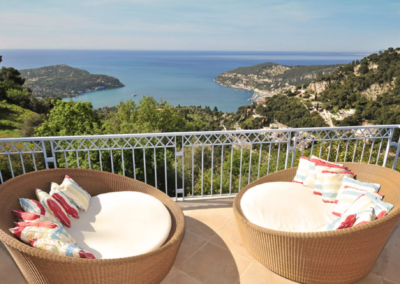 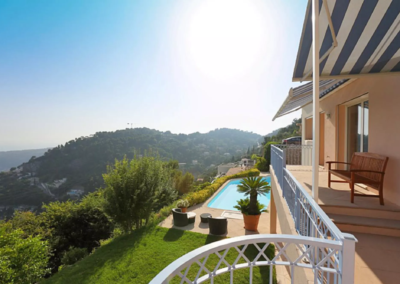 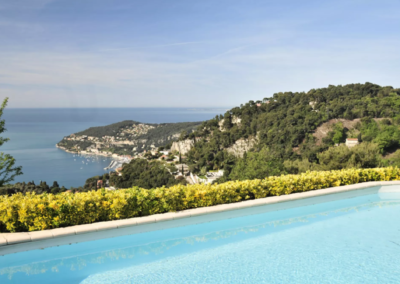 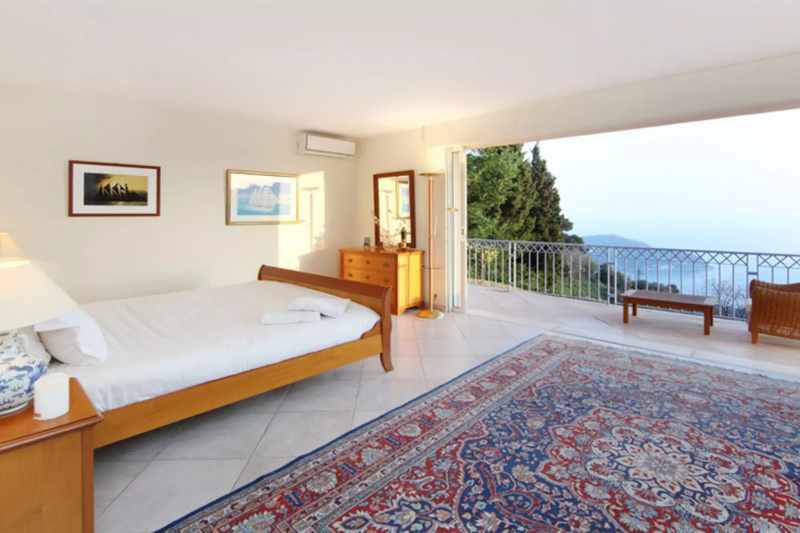 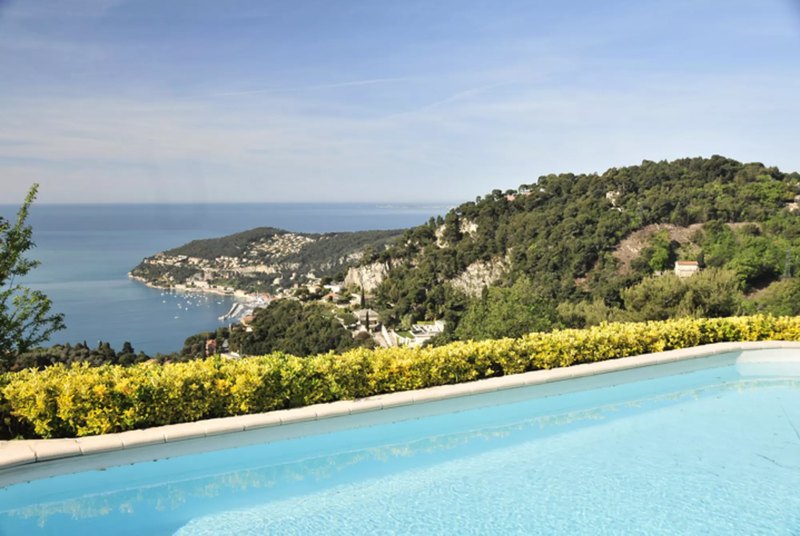 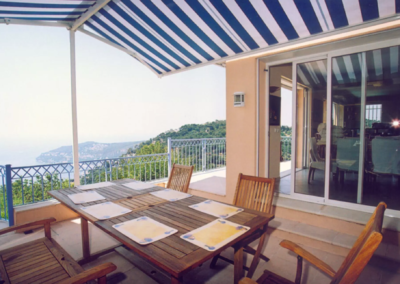 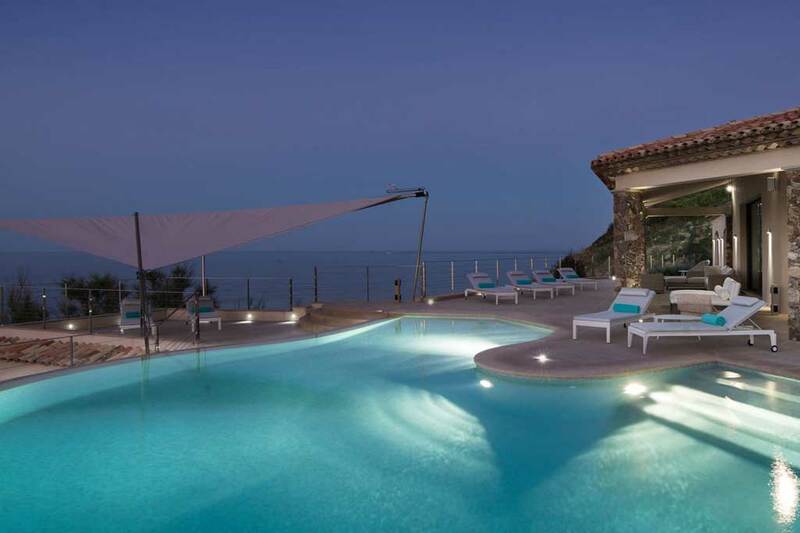 This luxury French Riviera villa with sea views is very close to Villefranche sur Mer, whilst also being within day trip range of Italy and the markets at Ventimiglia. 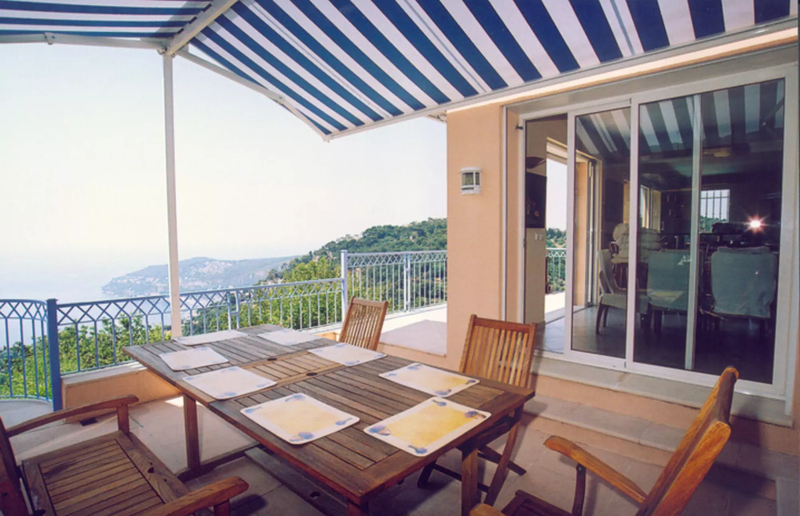 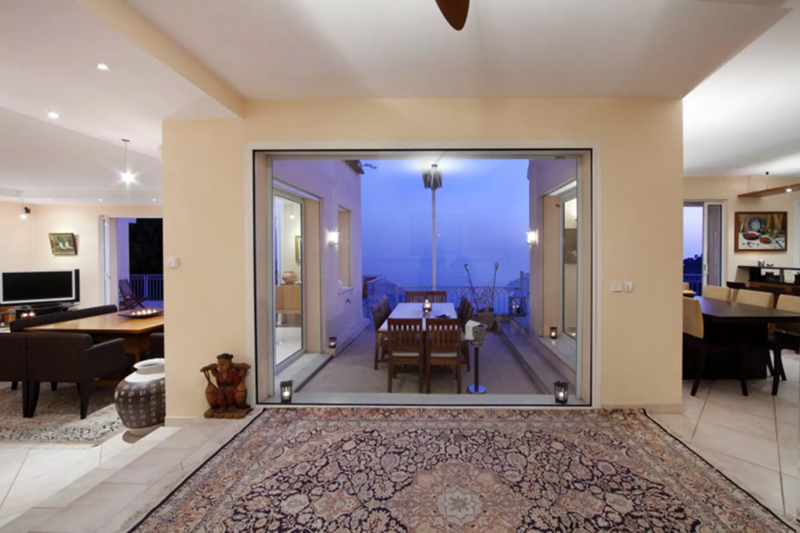 Living/dining room (TV,DVD,Video, CD), large French doors onto terrace with external dining suite, electric awning for shade. 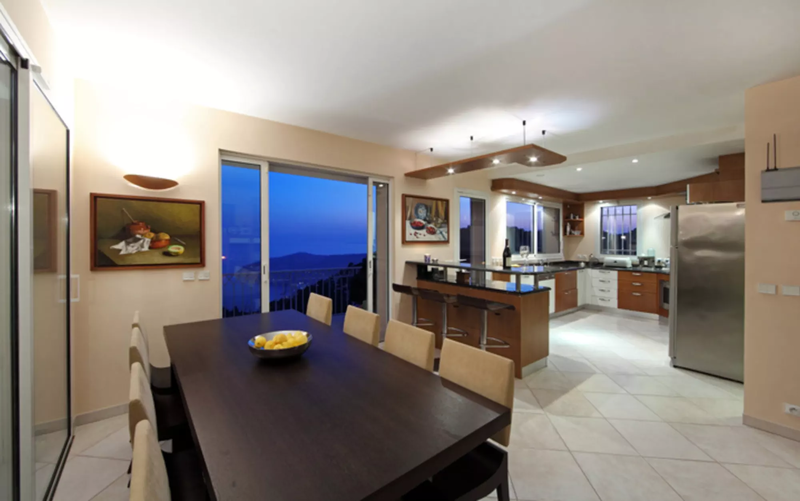 Very well equipped kitchen , breakfast bar separates kitchen from second dining area. 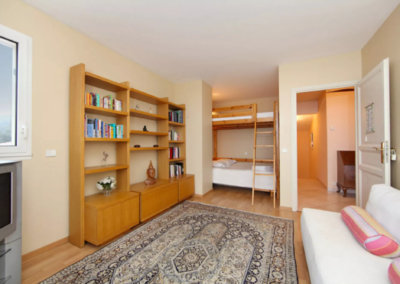 Master double bedroom (1.80m), seating area, French doors onto terrace, ensuite bathroom , WC. 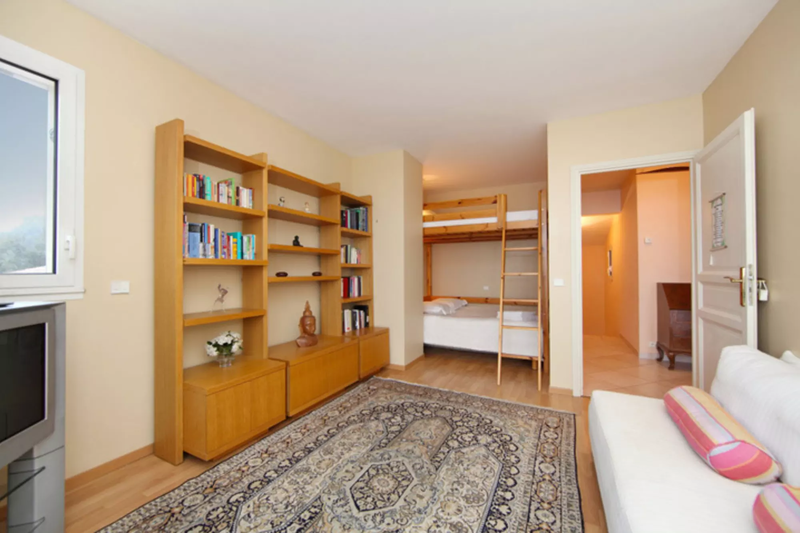 Teenager’s bedroom (1.40m bunk beds), sitting area (TV/DVD/CD), French doors onto terrace. 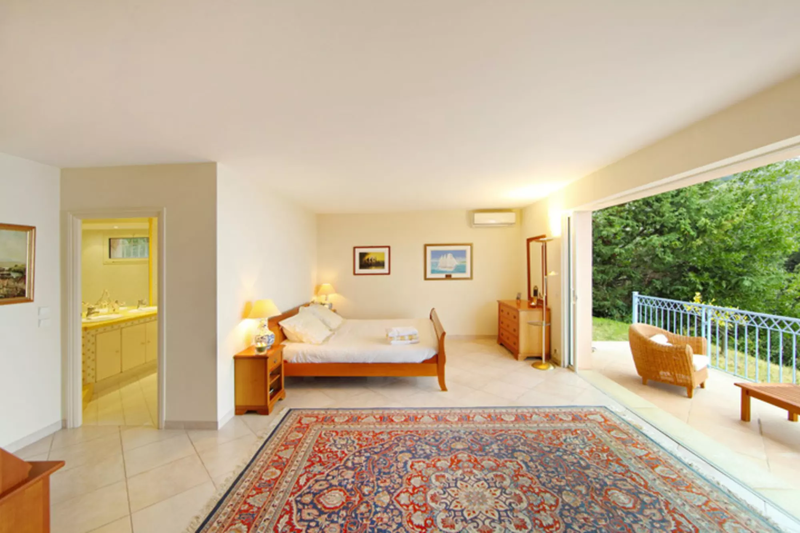 Double bedroom (1.60m 4-poster bed), French doors onto terrace. Double bedroom (1.60m), French doors to garden & pool, ensuite shower room, WC. 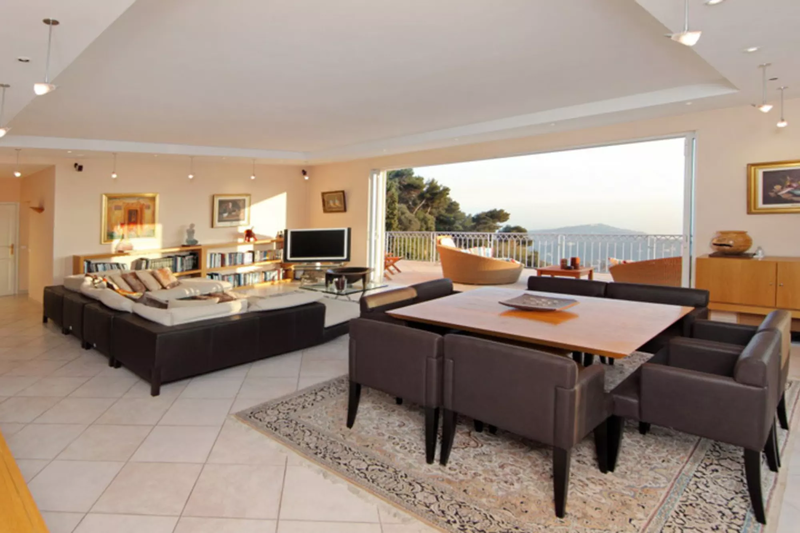 Living area, French doors to garden & pool. 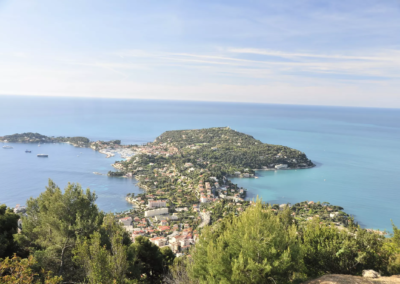 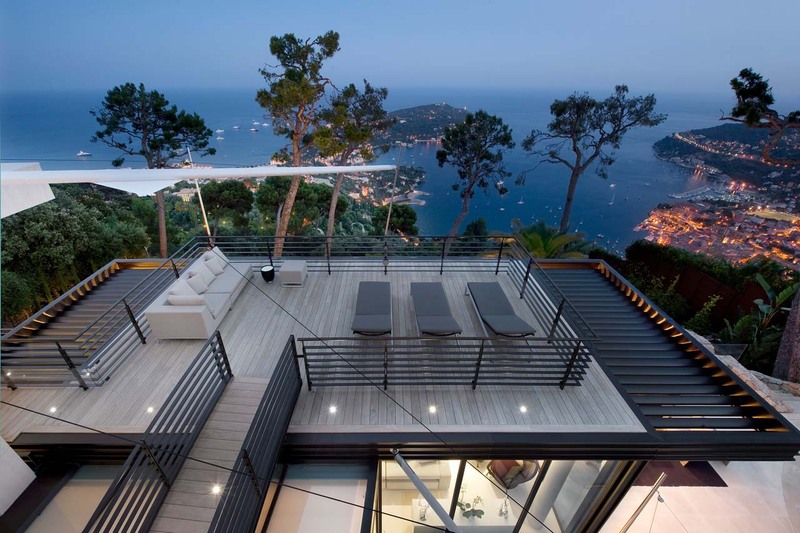 The magnificent sea view and outstanding Villefranche-sur-Mer restaurants.